PUBLICATIONS UK: "Good Yards - Safe Yards"
Following on from the success of the Safety with Horses training programme, Warwickshire College has released its first edition of the "Good Yards - Safe Yards" newsletter. Crammed with safety tips from top professionals it is designed to help everyone get the most from their time spent with horses - safely! A young Queensland veterinary nurse whose life revolved around horses died after she was kicked in the chest while trying to settle her thoroughbred before putting him in a float (trailer). From 1 July 2008, NSW will be considered EI free and remaining movement restrictions will be lifted. An MP is calling for the needless loss of young lives in workplace accidents to be made a thing of the past by integrating the teaching of a basic health and safety awareness course into the National Curriculum. In the last decade, 64 under 19s have been killed and over 15,000 seriously injured in workplace accidents. The Institute for Occupational Safety and Health, in partnership with the Health and Safety Executive (HSE), has developed the Workplace Hazard Awareness Course (WHAC) for year 10 pupils. Wiseup2work is an interactive online resource for teachers, youth workers, supervisors and employers to use to prepare young people for work. The resource is supported by the Learning Skills Council, the National Youth Agency and the British Chambers of Commerce. The latest Defra/AHT/BEVA equine quarterly disease surveillance report covering the period January – March 2008 is available from the AHT website. All reports produced to date are available online and can also be accessed via the Animal Health Trust's home page. You can register to receive future reports by email. The Australian federal government will cover the $100 million cost of eradicating last year's equine flu outbreak. The Australian Government’s Rural Industries Research and Development Corporation has released a report - Safety for Horses and Riders in Eventing – following a five year surveillance program. It is available at no charge by download from the RIRDC website. Officials with the U.S. Eventing Association (USEA) and U.S. Equestrian Federation (USEF) collected input from the equestrian community on ways to improve eventing safety at a summit on June 7-8. Proposed solutions range from required pre-competition preventive veterinary checks to promoting rider education. New rules announced by the International Equestrian Federation (FEI) on 6 June, say any rider falling at a jump in the cross-country or show jumping phases will be eliminated. A warrant has been issued for the arrest of a 54-year-old man who allowed a chronically lame horse to suffer for days without veterinary treatment. A fourteen year old girl from Nottinghamshire is once again fundraising for the Brooke. Emily is holding an equine and family fun day on Sunday 20th July at Church Farm, Sandiacre, Nottingham, Derbyshire. There will be an auction, mega raffle, a giant tombola, equine, pet and family table top sale, dog agility, face painting, tin can alley, bouncy castle, fun games, refreshments, an equine and pet information and advice area and a fashion show with a auction of clothing at the end. There will also be a raffle and a table top sale at her local stable and tack shop, Risley Saddlery, where she keeps her pony. She hopes to raise in excess of the £1750 which was raised at last year’s event. The Brooke is the UK’s leading overseas equine welfare charity with the aim is to improve the lives of horses, donkeys and mules working in poorest parts of the world. 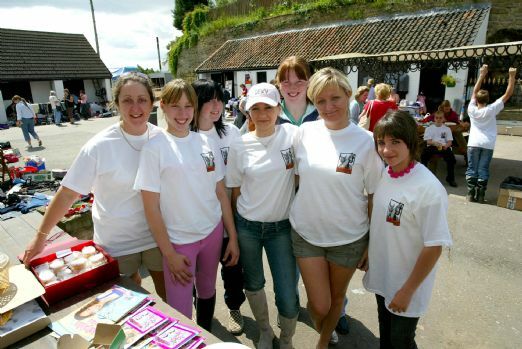 Leading equestrian clothing brand, Puffa, who are also partners of the AHT/BHS Breaking the Strangles Hold campaign are holding the day at Sussex Polo Club in August to raise funds and awareness for the campaign. Everyone is invited to watch the exciting polo action and help support the campaign. The event promises to be fun-filled and action-packed, with something for all the family. You can take along your own picnic or treat yourself to food or champagne from on-site caterers. There will also be a bouncy castle, charity auction, goody bags and opportunities to shop, with Puffa stockists Frogpool Manor promoting the special Strangles polo shirts and their new range of clothing. AHT Strangles researchers and scientists will be around on the day to answer any questions you might have on the disease or the work we’re doing to eradicate it, and members of the fundraising team will be able to help with any other queries you might have! The event takes place on Sunday 10th August at Sussex Polo Club. Gates open at 12pm. Entry is £5 per car, or free if anyone in your party is wearing a Puffa Strangles polo shirt. Dogs are welcome but must be kept on leads. All profits made from the day will go directly to the Breaking the Strangles Hold campaign.